Pet walking is something we usually leave to our kids, spouse or anyone else but ourselves. 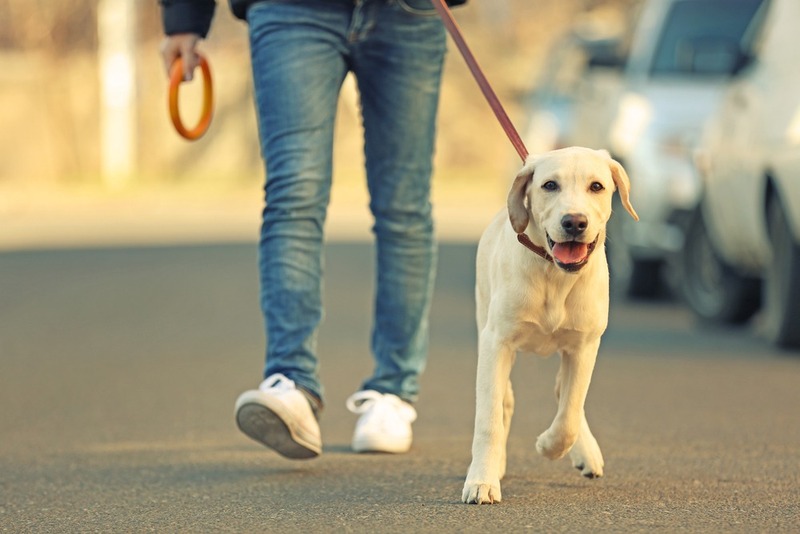 Pet walking can be both time consuming and exhausting, yet it can work to your benefit if you utilize it for exercise. You can get your cardio in at the same time saving you a trip to the gym later on. 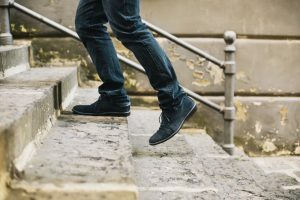 It may not seem like much, but switching from the elevator or escalator to the stairs can help. Over time this adds up, and you will both feel and see the results. From work, to the shopping mall, to business meetings, you will be surprised how much taking the stairs adds up! This is one of the more easy and effective ways to get more exercise out of your day. If you live within walking distance of work, try walking to work one day a week instead of driving in by car every day. If you live in a major city with public transportation, this is especially easy. Try taking the stop before yours on the subway to incorporate some more walking in to your daily routine, or if you take the bus do the same. 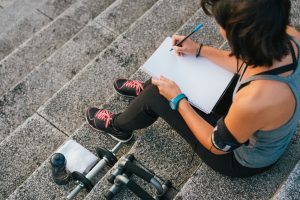 It is a lot easier to jump right in to an exercise program or routine if you schedule it ahead of time. 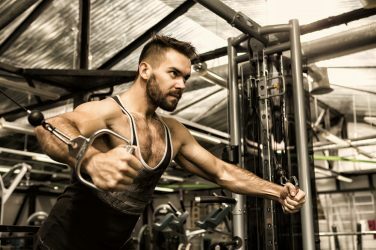 This not only gives you enough time to get the exercise done, it also mentally prepares you to do s ahead of time because you know what to expect. This means you will consistently exercise at the same time and day; and will see better results because of it. 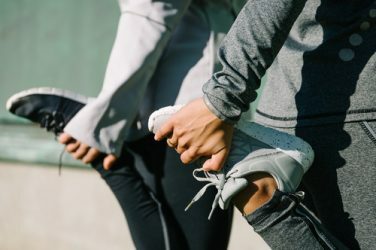 Allowing your body to adjust to doing these exercises at the same time of day will not only make it easier on yourself, after awhile it will be just like any other event that you look forward to! Nothing motivates a person to exercise more than visible results. This is why it is both important and beneficial to record down our exercise progression as time goes on. With all of the gadgets and technology available today to do, this is something that is relatively easy to do. A pedometer is a good tool for beginners in that it will record your steps throughout your day or exercise. This gives the user positive feedback in that they can easily see the results of their workout, and exactly how much they have produced. When it comes to excuses as to why people don’t exercise, not enough time is usually at the top of the list. Kill two birds with one stone by exercising with your spouse and children. Not only will you get a good workout from doing so, you will be spending quality time with the family as well. This is a win-win situation, so why not take advantage? Exercising doesn’t have to be complicated or expensive. Keep your wallet full by incorporating youtube videos or cheap DVD workouts in to your routine. These resources are loaded with good advice by qualified people, and usually costs next to nothing. One of the most difficult things for most people when it comes to exercising is staying motivated. 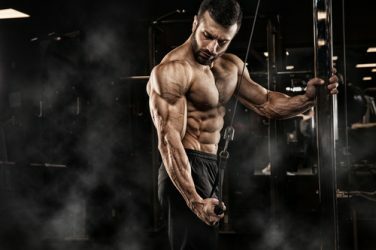 Predetermining a goal and sticking to a set pace in reaching that goal is one easy way to keep focused and interested. For example if you are looking to develop more defined muscles in the arms, try to fit in some time to do push-ups in to your day. Feel too stressed? Try to squeeze in a yoga class. Feel fatigued? Try an early spin class. 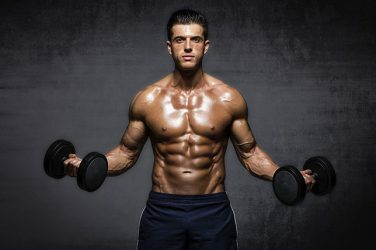 There are numerous exercises and exercise programs that can fit your needs whatever they may be. The key is to find something you enjoy, schedule it in to your routine, and sticking to that routine on a consistent basis. Once you have those simple steps down, sticking to your routine will be easy, and you will love doing so! 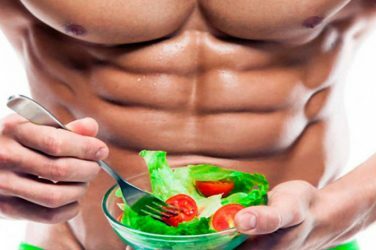 A Product Review of Anabolic Elite – Is this Product the Real Deal?